Q). Why should I bring my horse to Manning Equine for treatment? Whether your horse is coming in for a lameness workup or a mare coming in to be bred, Manning Equine provides effective and efficient service that ensures the client leaves with a smile every time. Despite us being a “clinic,” Manning Equine has a true farm feel that allows your horse to relax and settle in quickly, abolishing anxiety that can complicate lameness exams and compromise end results. Also, by bringing your horse to the clinic allows our veterinarians to serve you better by having all their diagnostic tools available at their finger tips. It’s just a recipe for success! Q). I received a statement, now how do I pay for your services? We accept Visa, MasterCard or cheques made out to Manning Equine Veterinary Services. Q). My horse has a lameness issue that my regular veterinarian is having trouble diagnosing. Will you be available to give a second opinion? Yes. Diagnosing equine lameness can be complicated and sometimes a fresh pair of eyes and some different ideas can be the answer. At Manning Equine, we are available for second opinion exams and will work with your regular veterinarian to diagnose the issue and recommend possible treatment options. Q). I am buying a horse overseas and would like a second opinion on the radiographs. Are you available for radiographic consults? Yes. We frequently receive radiographic consultation request from across the globe and are equipped to receive radiographs via electronically or by courier. 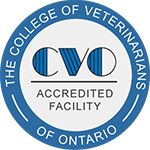 Simply notify our office of the radiographs impending arrival, provide basic information and once the radiographs are received, one of our veterinarians will review the radiographs and information provided and contact you with their findings. Q). Do you just service Warmbloods? No. We service clients with all breeds and in all disciplines. Q). I do not compete, but have a few horses at home. Will you provide services for someone like me? Absolutely. Though we focus on competitive performance horses, we are ultimately there for the horse, whatever their occupation may be. Q). I am confused with what I should vaccinate and deworm my horse with. Can you help? Of course we can! At Manning Equine, we take out the guess work and can customize a health management program that meets all over your horse’s needs.